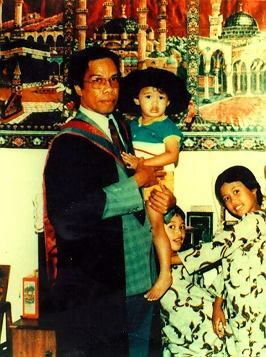 The candidate was born on the 20th April, 1951 in Kuala Terengganu, Malaysia. 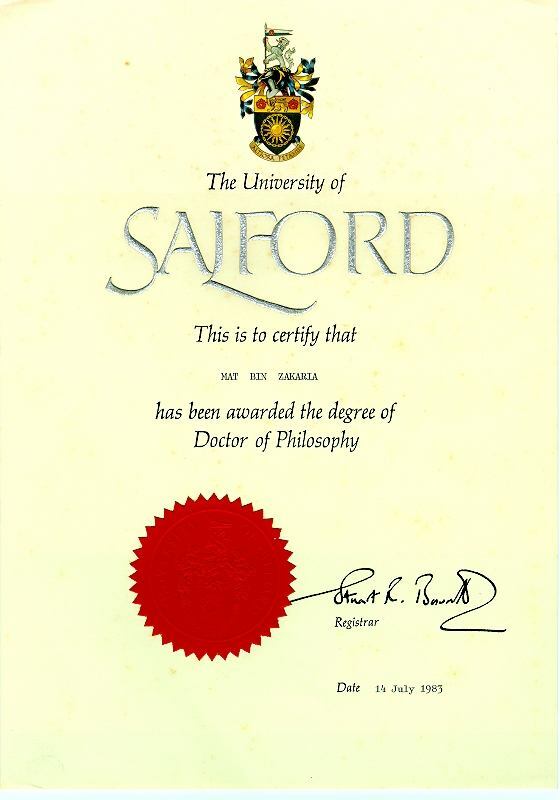 He finished his undergraduate study in chemistry at Universiti Kebangsaan Malaysia (UKM) in 1974 and completed his postgraduate studies in Salford University, United Kingdom with Master of Science in 1976 and Doctor of Philosophy in 1983 in polymer chemistry. The candidate started his career at Universiti Kebangsaan Malaysia as a tutor in the Chemistry Department, Faculty of Sciences in 1974 and appointed as a lecturer in 1976. 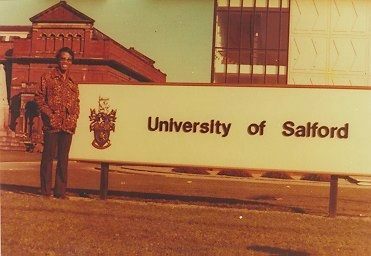 In 1984 he was promoted to the post of Associate Professor in the same department to his compulsory retirement date 2007 April 20. 2007 Aug 7, the candidate joined the Faculty of Agriculture and Biotechnology, Universiti Sultan Zainal Abidin, UniSZA (previously known as Universiti Darul Iman Malaysia, UDM), Kuala Terengganu. He was appointed the Deputy Dean (Academic and Student Affairs) 2008 Apr 1, and was appointed Dean of the faculty 2009 Feb 1, to this date. Candidate's academic profession is Macromolecular Chemistry, the subject which he taught, together with Physical Chemistry, throughout his tenure for nearly 34 years in UKM. In UniSZA, he substantiated the Chemical teaching for the programmes of Food Technology and Biotechnology. He was also made responsible for the development of the complementarity of Chemical Laboratories for both programmes. His specialised research area is hydrogel and hydrocolloids, especially those derived from polysaccharides. 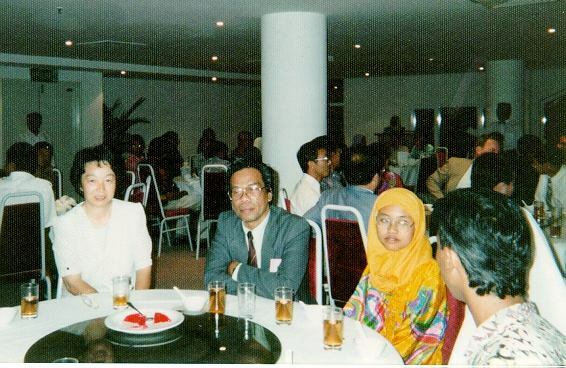 He is one of the researchers who introduced chitin and chitosan research in Malaysia, beginning in the 1990s. The research theme was supported by the relevant Ministries in Malaysia (IRPA 01-07-03-002 and IRPA 02-07-03-011), in which the candidate was one of the project leaders. The research has attracted many private sectors for commercial development, including governmental agencies such as Malaysian Technology Development Corporation (MTDC), who promotes the research results on behalf of the candidate's team to private sectors both in Malaysia and in other countries such as Indonesia, Thailand and the Philippines. 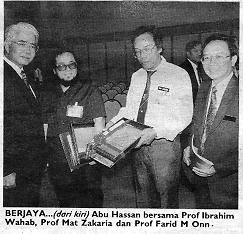 One such effort had culminated in the incorporation, in December 1997, of a Joint Venture Company to produce chitosan, Chito-Chem (Malaysia) SB, (ROC Company number: 456003-T) comprised of Universiti Kebangsaan Malaysia (represented by Bureau of Consultancy on behalf of the candidate's team), Eastern Global SB (Parit Buntar, Perak), Perfect Persuit SB (Kuala Lumpur), and MTDC itself. The candidate was appointed as one of the Board of Directors. The candidate co-researched in UKM-ST-FRG0007-2006 [The Bonding Mechanism of Glass Fibre to Unsaturated Polyester/Natural Rubber Matrices.] A Science Fund was also granted for the candidate's team, 02-01-02-SF0125 [Syntheses of Fine Chemicals from Chitosan Food and Pharmaceautical Applicatons], Jul 2007. Candidate's contemporary research is in leading a team of researchers from Universiti Sultan Zainal Abdin in questing a comprehensive research on the Agricultural Programme of Dioscorea hispida (ubi gadong) which had won the trust of Terengganu State's funding KN-2010-01, for RM2.2 million. The programme consists of ten projects covering all aspects of Dioscorea, from its botanical approach to agricultural harnessing, to its end products in various fields of applications such as food, nutraceutical, even pharmacological, and as far as future domestication. The candidate himself is leading a team of chemists in phytochemical screening of Dioscorea. 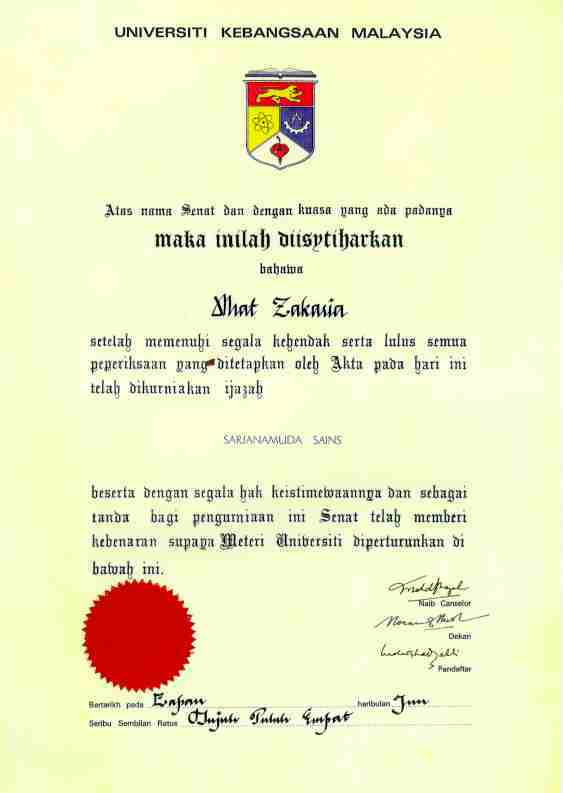 In UniSZA, the candidate also joined the team of Biodiversity Research Group [PPI-3(1)08(3) - 2007/09], and leading himself the team which looked into the Cashew plant, the gum of which the candidate researched for applications in the food technology [UDM: PPI-3(1)08(7) - 2008/10]. 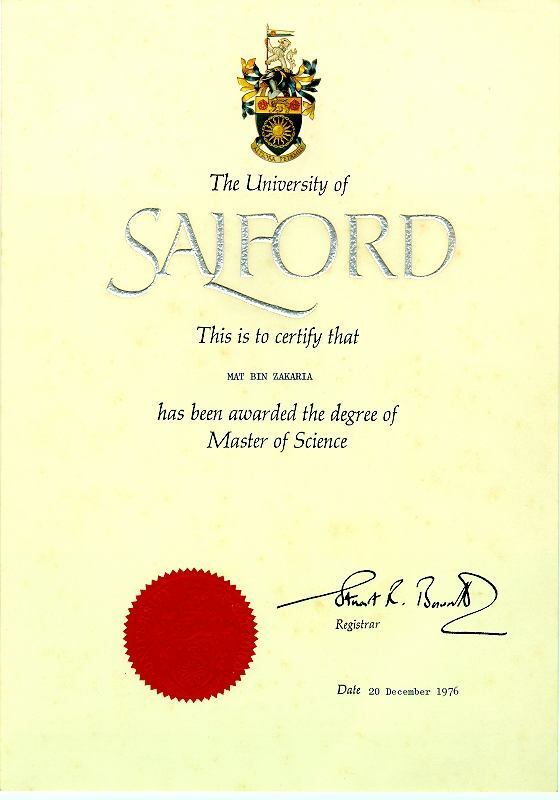 Under the research projects, he supervised two Master postgraduate students. Candidate and his team has laid down a platform for a regular bienneial regional meeting: the Asia-Pacific Chitin and Chitosan Symposium (APCCS); the first was held in UKM (Bangi, Malaysia) in May 1994, in which the candidate was the Honorary Secretary. Candidate has contributed substantially at the national level in the field of textbooks development, both for school and university education. In this aspects, he is noted for a close collaboration with the Institute of Language & Literature of the Ministry of Education, Malaysia (Dewan Bahasa & Pustaka, Kementerian Pendidikan Malaysia) of which the candidate is an academic resource personnel in science for all publication matters: books, translations, terminology, dictionaries and encyclopaedia. Four books by the candidate were adopted by the Education Ministry for use as textbooks in the secondary schools. The polymer book by the candidate, Prinsip Kimia Polimer, is used by almost all local universities as the textbook in the teaching of basic polymer chemistry. Translations (into Malay Language) by the candidate includes the encyclopaedic Vogel's Textbook of Practical Organic Chemistry and Greenwood & Earnshaw's Chemistry of the Elements, and the Flory's "bible" of polymer chemistry, Principles of Polymer Chemistry and Rudin's Elements of Polymer Science and Engineering. 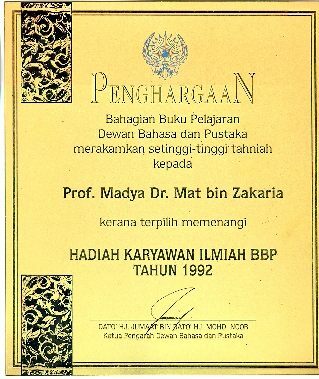 For the outstanding contributions the candidate was awarded the Academic Writer Award (Anugerah Karyawan Akademik) by the Educational Book Division of the Institute in 1992. 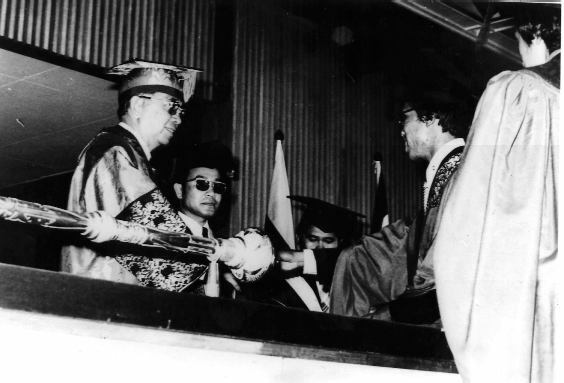 Candidate's other notable contribution at the national level was as a resource personnel in the Malaysian Examination Syndicate (1984-1986), and Bahagian Matrikulasi, Kementerian Pelajaran Malaysia (2003- to date).